It looks like I am just about ready to put the roof on. I still need to highlight the grab handles (after looking at these photos I realized that one broke off so I just put a new one on so I have to paint that one prior to highlighting) and then I can glue it to the hull. The grab handles are from the Academy kit since I was unable to find my several PE sets for the Academy kit that has them in brass. They look OK and will work for this track and the diorama that the track will be in. That's all for now. Thanks for looking. 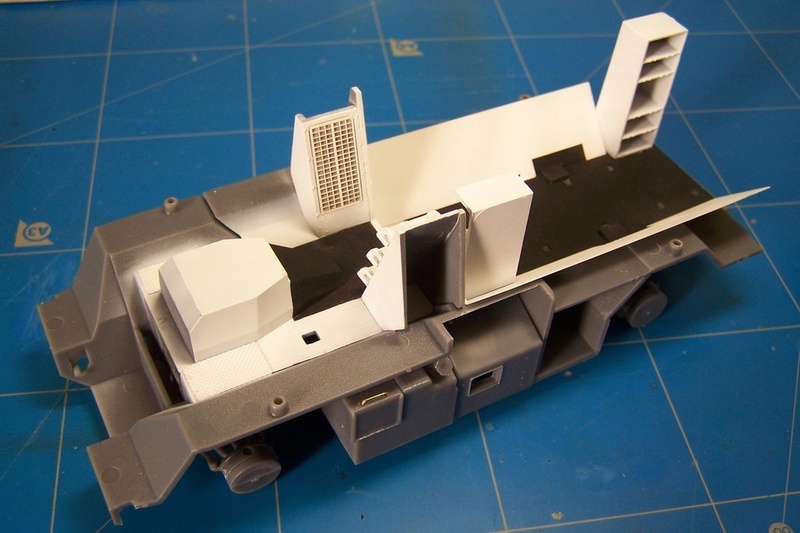 I hated covering up the details of the interior, but I just placed the roof onto the hull. Now I can finish building this model so I can start painting the exterior. I am going to take my time and not rush it so it turns out as well as it can be based on my skill level. Since I am going to build this with the ramp open, most of the details will still be visible. Sorry about the somewhat blurry pictures. Very impressive builds going on here Especially impressed with James' interior! Looks fantastic, James! Really nice details and that “lived in” effect. 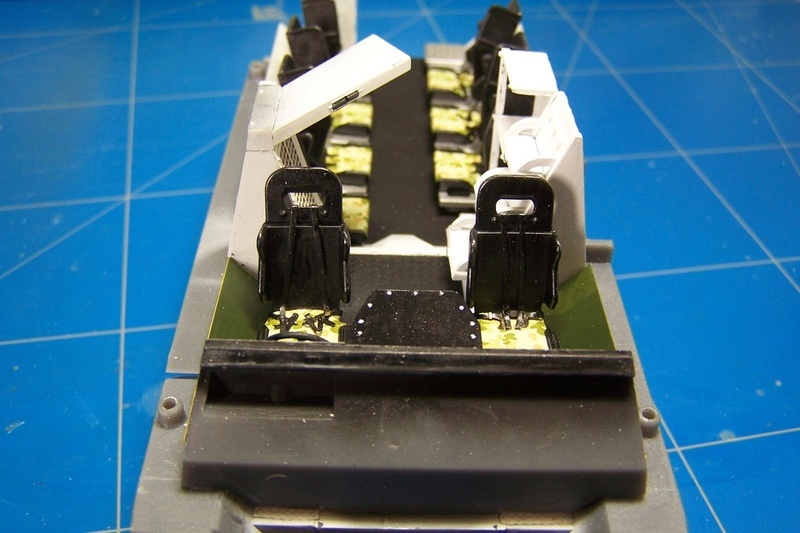 I have assembled and painted all the sub assemblies for my interior of the Bushmaster. All the pictures I have found show exhibition vehicles with their interior in pristine condition. As I would like to weather my vehicle a bit, would anyone share some pictures of a vehicle in the field. I'll try to post pictures of my WIP later today. I want to join guys. 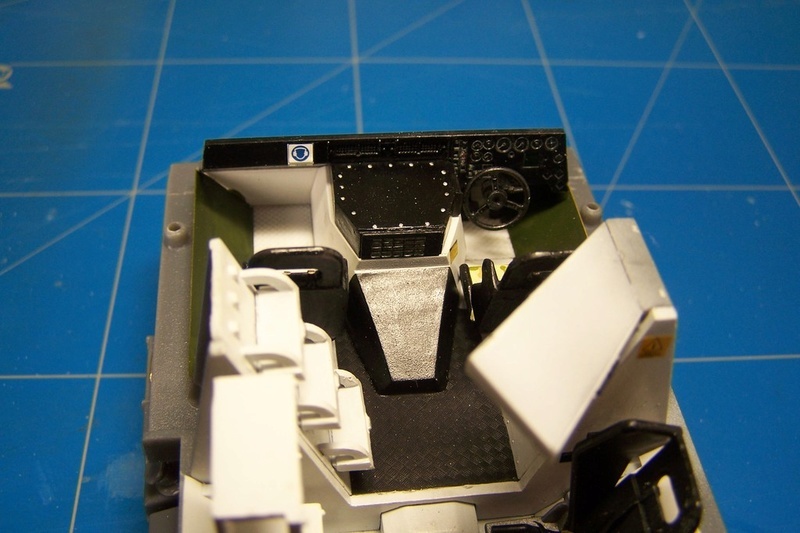 Bushmaster interior base is ready. Still have a lot of details to add and weather as well. The kit needs a lot of test fitting before gluing the parts. The PE parts (large white sides) were too large and needed to be trimmed before they could fit. This Bushmaster is not very cool to build, I did it two years ago and it was very boring. Details are never fine and parts don't fit well. Thanks, Goof, Peter, and Jesper. Here is my progress from Sunday. I didn't really follow the instructions in any order. I just added parts as I pleased. Most of the models I had built up to this point have not had as many small parts as this one does, so it is something new for me. Not sure what I will get done today as I have a bunch of chores on the to do list today. Glad that the Black Label boxes caused some memories to surface. Hopefully they were some of the better ones. I look forward to seeing how this turns out. I also look forward to seeing you put some GIs in there fixing the engines. Making slow progress with my build. 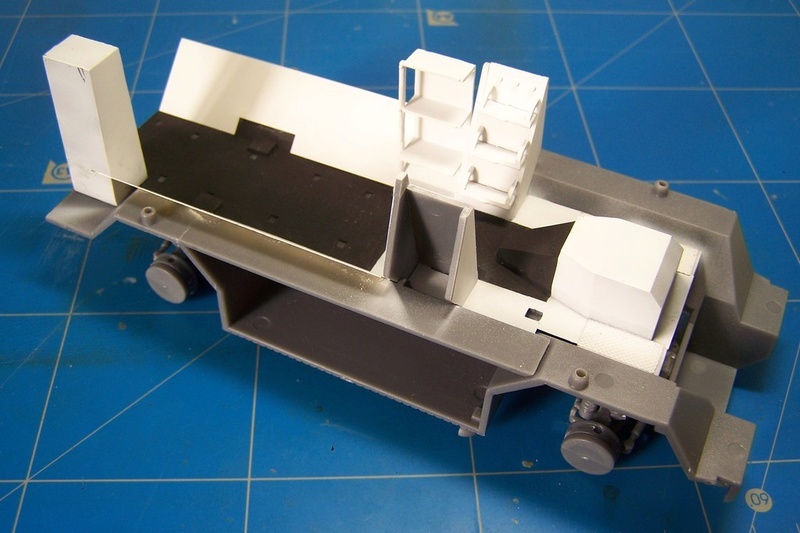 The simple crew compartment is finished. Some really fine work being done here guys. 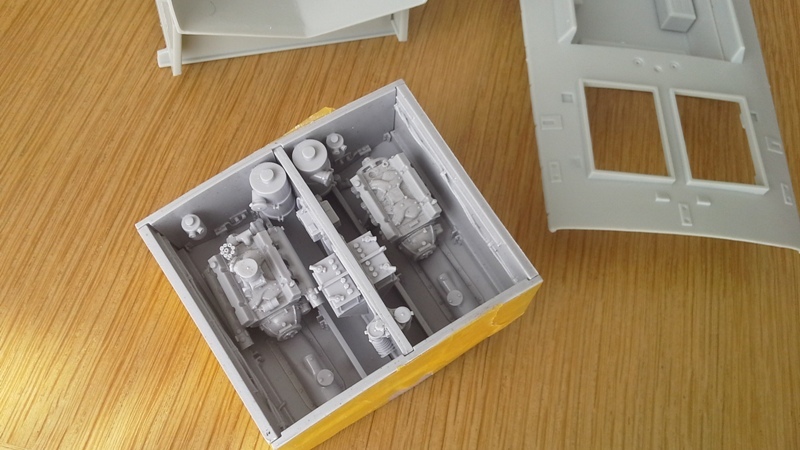 Goof, that looks like a nicely detailed resin set. 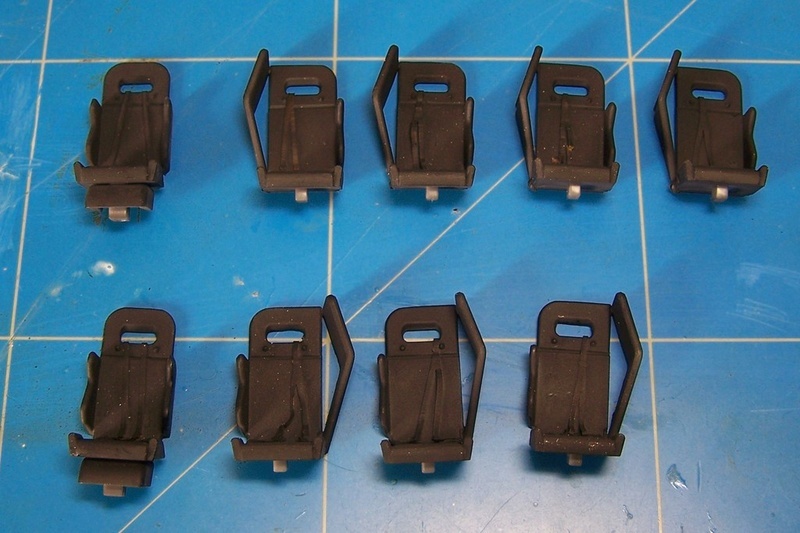 It is not often you see the battery terminal lead clamps moulded on. Usually just a bump on the top. Mark, the little panzer will look great when finished. I've just joined up as well, man this Campaign is buzzing along. Nice work everyone so far. 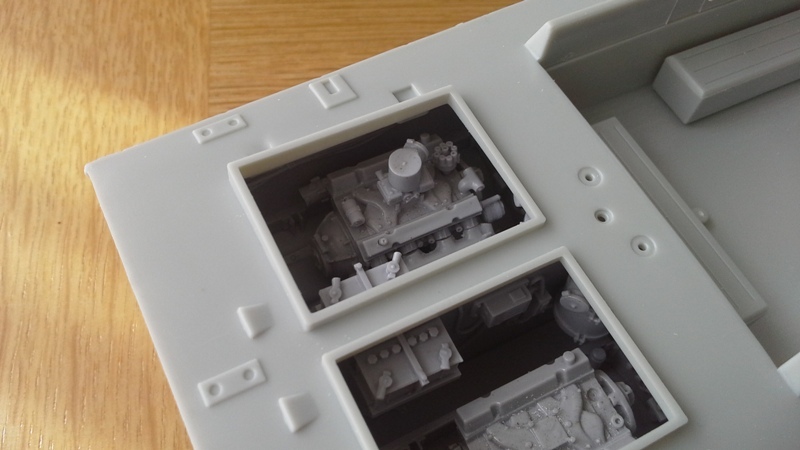 I came across some difficulties with the large flat PE parts on the sides of the driver compartment. They prevent a perfect fit of the dashboard but this is an easy fix. The biggest issue is the fit of the hull over the chassis. Unless I did something wrong, the PE part on the driver side needs to be cut by 1 mm. Otherwise the hull won't sit at the front. I found the PE seatblets are a pain to put in place even after having been annealed. 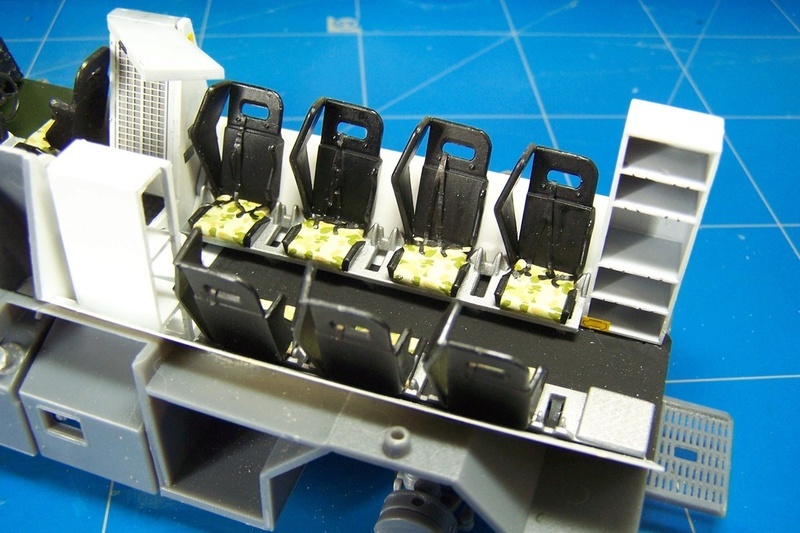 And don't forget to add the decals for the cushions before gluing the seatbelts! Showcase gives you a lot of placards and stencils for the interior. Unfortunately, there is no indication in the instructions for the location. The various walkarounds over the web are helpful. They also show more mistakes or omission by Showcase. In front of the vehicle commander, there should be a kind of "open" bin fixed to the dashboard. It should be higher than the dashboard itself. It is obvious when you apply the decal there. At the back of the vehicle, you have a large shelf on the rear right. The bottom of it misses a kind of lip of the lower drawer. There again, it is obvious when you want to apply the decal. As I don't intend to detail the interior that much I can live with those flaws. I will look at your videos to see how I could weather the interior a bit. Thanks for posting the links. BTW, I got an email from Don B over on PP. Apparently he has a couple of server issues. He is looking for the original Pics I sent him - they were on a DVD as they were full size photo's not adulterated for fast upload. Hopefully I can get them back. Work is continuing at a faster pace now that my Workhorses Campaign build is complete. 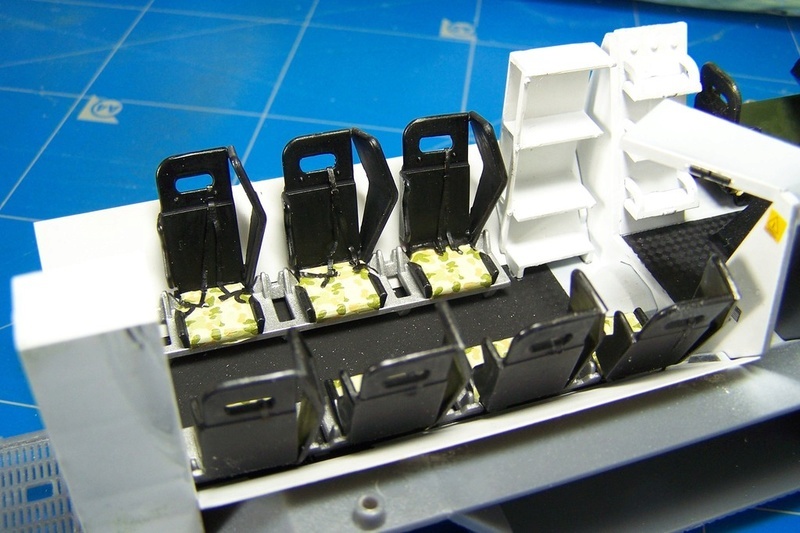 Dry fitting the engine and upper hull parts. Here are more pictures of my interior. Good job on interior, there is nothing in the kit to fill the various racks. Arms Corps Models had a project of update set for this kit but for unknown reasons it has never been released. Arms Corps Models are out of business. Unfortunately as they had some interesting upgrade sets for both the Bushmaster and the ASLAV. 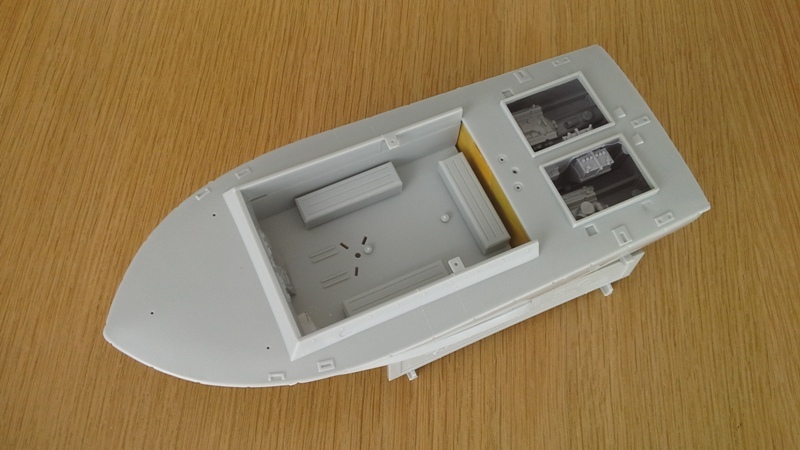 You're right that in the kit you get nothing t ofill the racks but I'm not sure you can see a lot when the hull is glued. I still don't know whether or not I will represent the rear door open. I know Jason the guy behind ARMS Corp Models. He chose to stop resin casting over 2 years ago and move on to other pursuits. A pity because his work had to be seen to be believed.